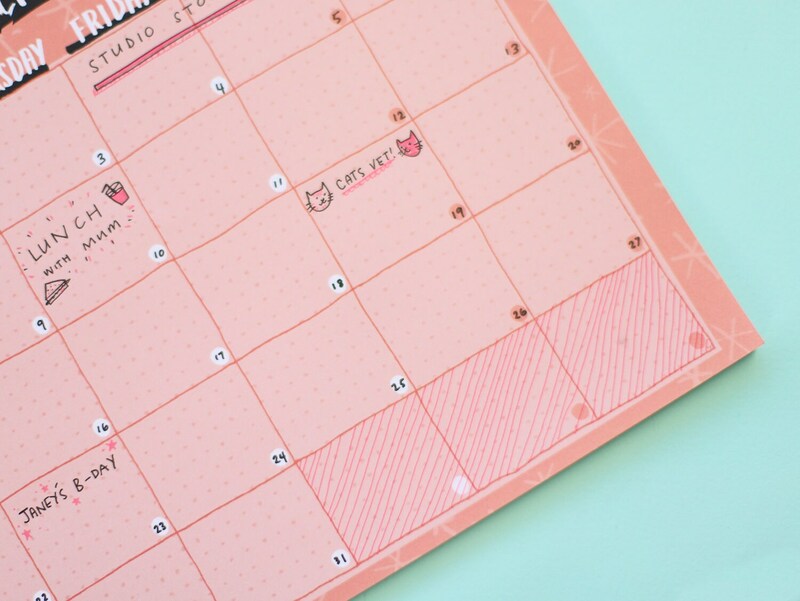 Plan your month and get organised our super handy Planner pads! 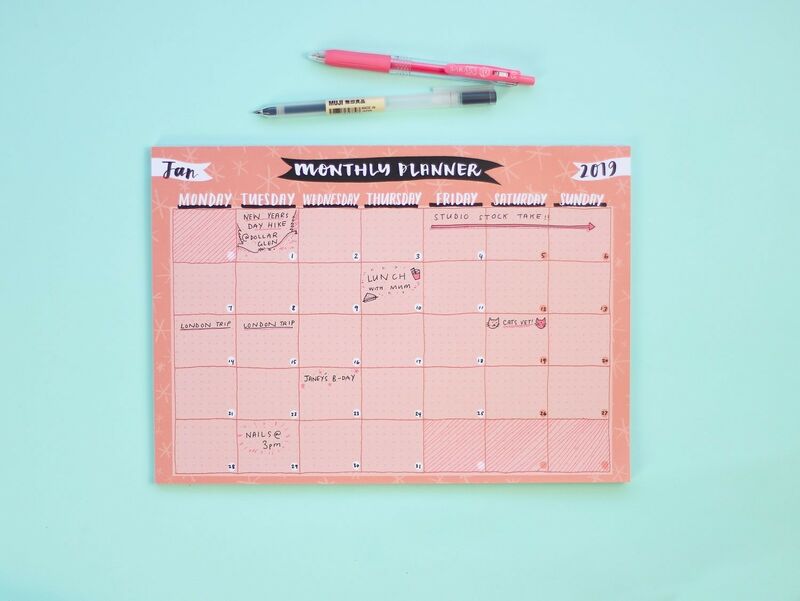 Based on one of my favourite Bullet Journal spreads, this monthly planner pad is blank for your to add your own month, dates & year. Each page is illustrated with my own hand-lettered type and layout design in coral, black and white. 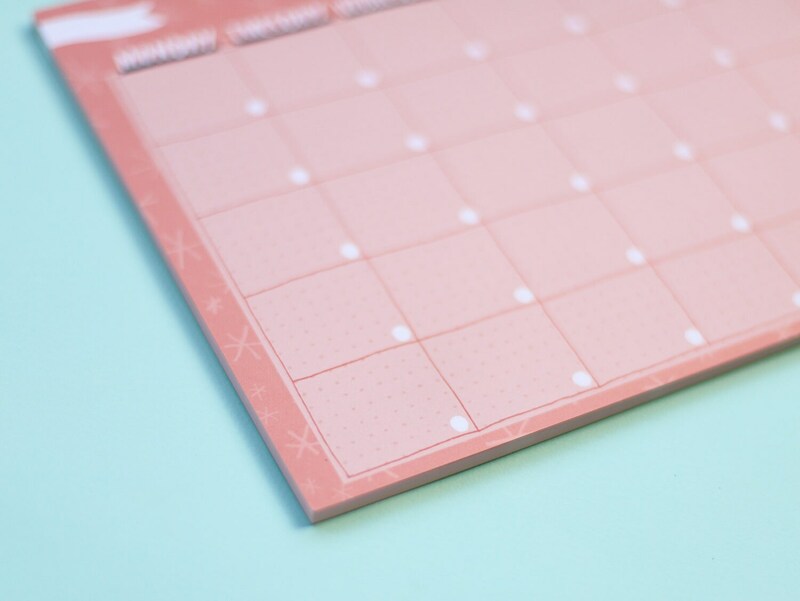 Each pad is A4 in size (21 x 29.7cm) and contains 50 full colour printed sheets. We use matt finish 80gsm paper stock to make them easy to write on using most pens and writing implements. 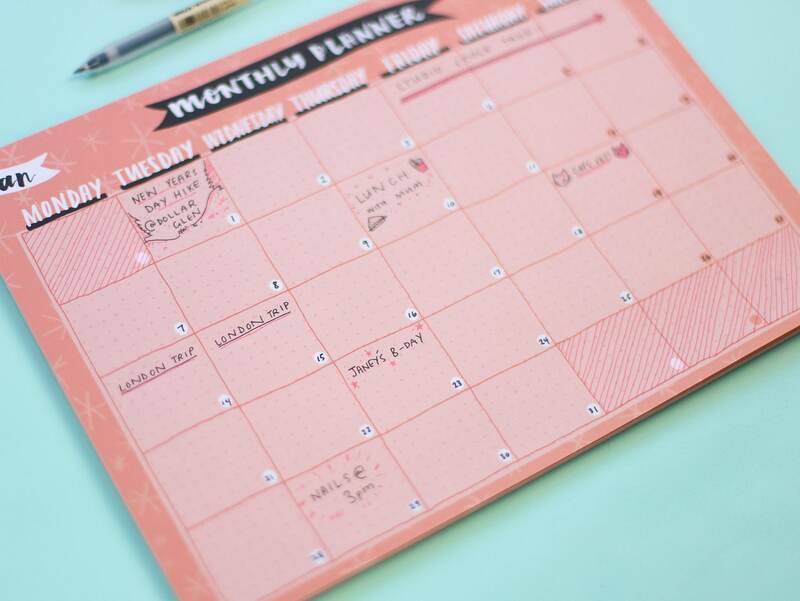 This listing is for one Monthly Planner Pad. 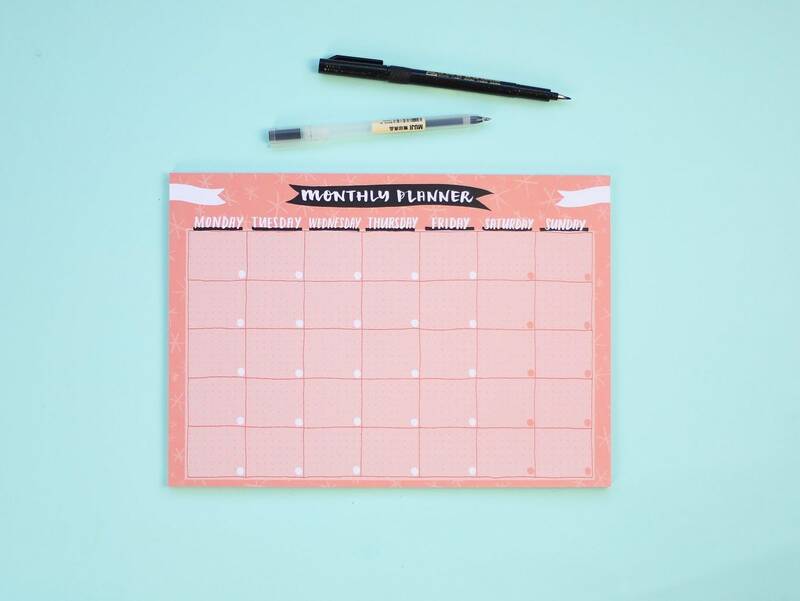 Great for using to organise my blog posts! Love my new monthly planner, so many pages so will last ages! Bought one for my friend too.